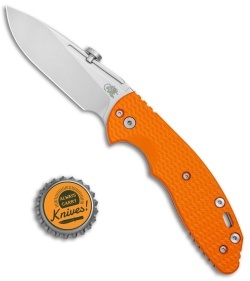 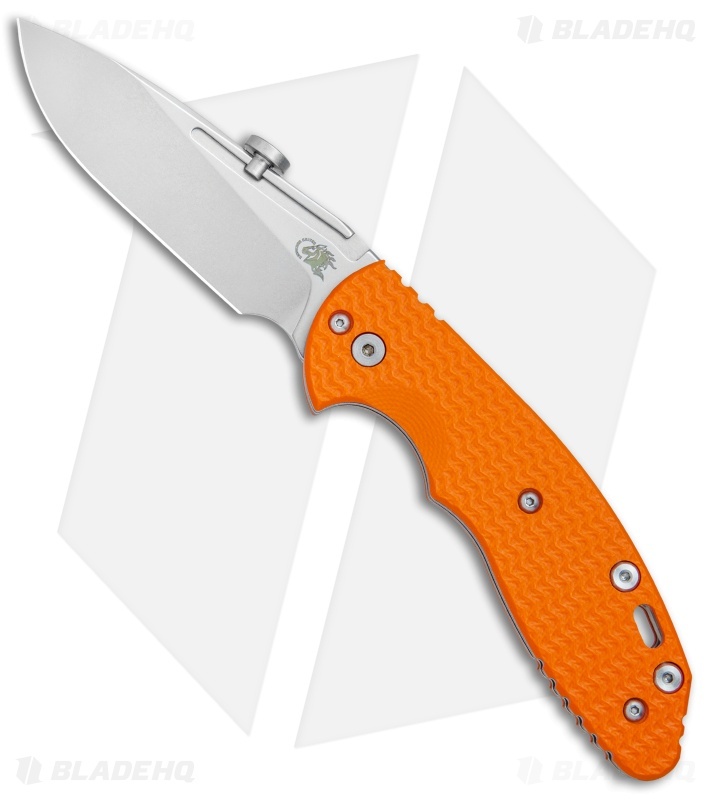 This XM Slippy model comes equipped with a stonewashed slicer blade and an orange G-10 slip joint handle. The Hinderer XM Slippy offers a pocket friendly slip joint design for all of your EDC needs. It sports a slimmed down G-10 handle with titanium liners and a stainless steel backspacer. 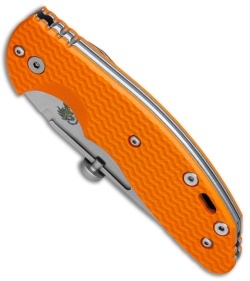 The blade is made from CPM-20CV steel with a flat grind and a uniquely designed adjustable thumb disc opener. 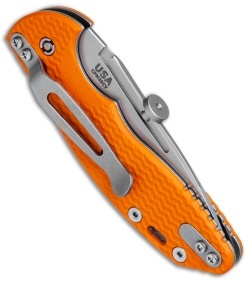 A reversible tip-up or tip-down titanium pocket clip finishes off the stellar EDC design. 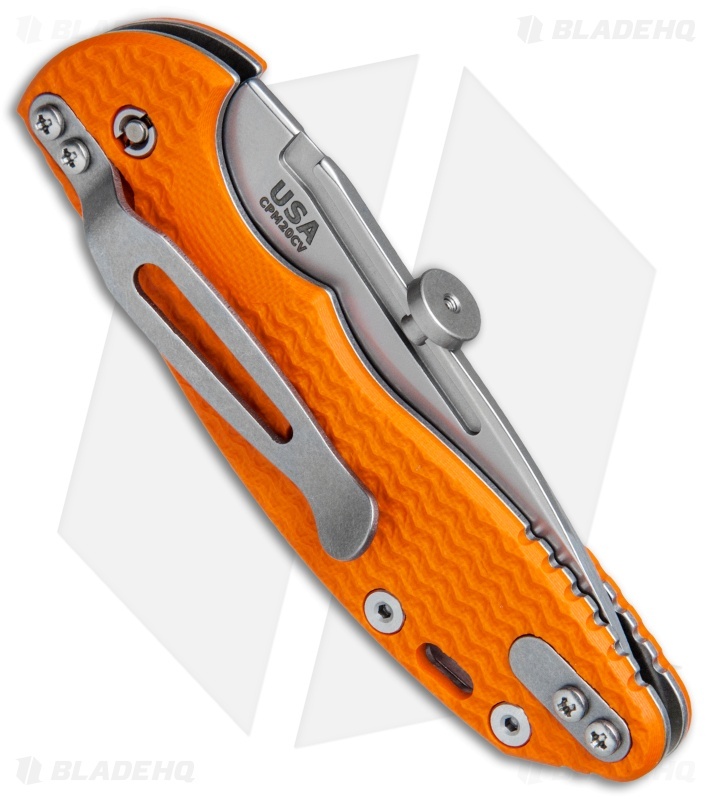 Easily adjustable thumb disc can be positioned anywhere along the first half the blade for maximized blade opening comfort. CPM-20CV blade steel offers an impressive combination of wear resistance and edge retention. G-10 handle scales with a machined tread texture for a secure, high performance grip.